Regularly scheduled Acela Express service began on the Northeast Corridor (NEC) between Washington, New York and Boston on December 11, 2000. Through February, Amtrak will mark the anniversary with special “Acelabrations” for customers and employees. Surprises on the trains, in stations and elsewhere are planned as Amtrak pauses to celebrate this milestone. In a series of blog posts, we’ll take a look back at the journey to Acela Express and explore its future. 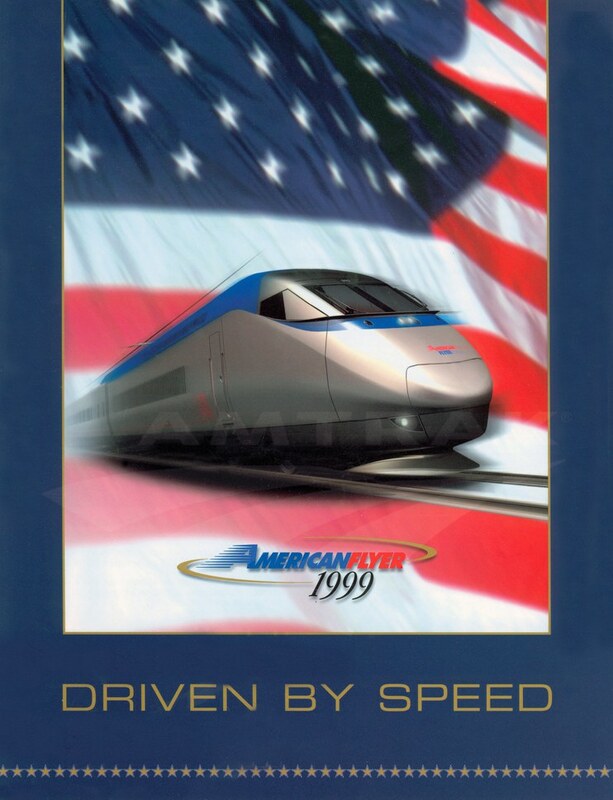 For many involved with the Acela project, the launch of revenue service in December 2000 was the culmination of years of planning and countless hours of work, as well as the fulfillment of a decades-long dream to bring modern higher speed rail to North America. Pennsylvania Railroad and the federal government. A notable achievement was the Metroliner program developed in the late 1960s with the Pennsylvania Railroad (PRR).2 New high-speed, self-propelled electric cars built by the Budd Company, in partnership with Westinghouse and General Electric, were designed for use on the PRR’s busy corridor between New York and Washington.3 Amtrak took over the service in 1971, increasing frequencies to keep up with demand. 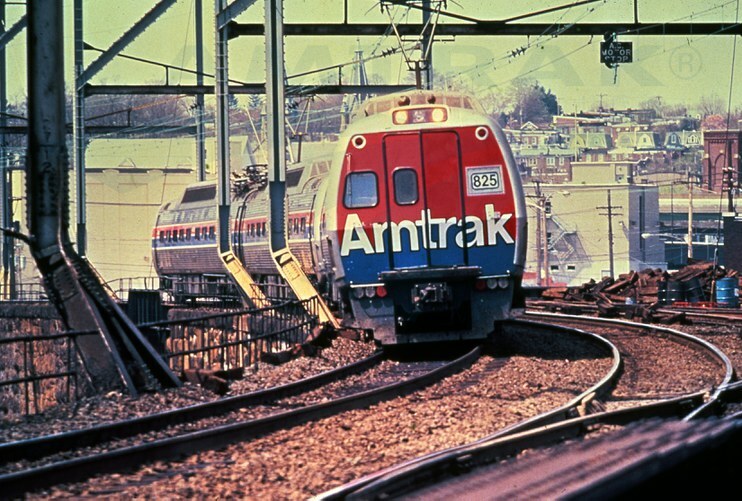 Although this demonstration program was generally deemed successful, a young Amtrak had to make careful decisions about how to best use its limited resources. Further investments in high-speed rail would have to wait, as the nation’s new intercity passenger rail operator faced an immediate need to create an organizational framework; hire and train employees; upgrade and standardize rolling stock and station facilities acquired from predecessor railroads; institute a comprehensive national reservations system; and craft a national marketing program. 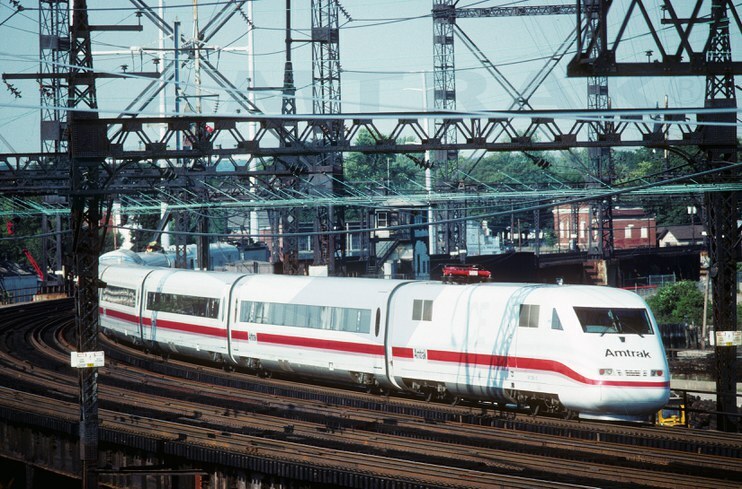 The German Intercity Express passes through Bridgeport, Conn.
Serious planning for higher speed rail over the entire Northeast Corridor (NEC) between Washington and Boston began in the early 1990s. A push came when Congress passed the Intermodal Surface Transportation Efficiency Act of 1991, which stated that “It is the policy of the United States to promote the construction and commercialization of high-speed ground transportation systems…” including high-speed rail. The Act also authorized the appropriation of funding for research and development and technology demonstration projects. In a future post, we'll explore how Acela Express helped refresh the Amtrak brand for the 21st century. 1 The U.S. Department of Transportation was not created until 1966. Transportation functions at the time of this act were included under the purview of the Department of Commerce. 2 John Fellow, “What’s right (and wrong) with the Metroliner,” Trains, July 1969. 3 R. Clifford Black, “The Acela Express,” Japan Railway & Transport Review, March 2005. 5 “It’s official,” Amtrak Ink, March 1999. 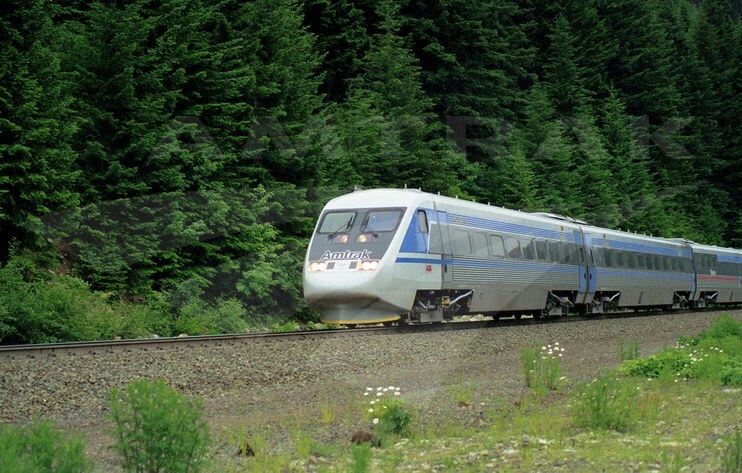 6 “Designing a service…Designing a trainset,” Amtrak Ink, May 2000. 7 “Progress in Production,” Working on the Railroad (Newsletter for Customers of the Northeast Corridor), April 1998. 8 “Manufacturer delays delivery of Acela Express high-speed trains,” Amtrak Ink, October 1999. 9 “High-speed trainsets,” Amtrak Ink, October 2000.